Doctrine of Deity — Is It Being Changed, or Camouflaged? Mormon president and prophet Gordon B. Hinckley appears set on selling Mormonism to evangelical Christians. One of their chief complaints about Mormonism is its denigration of God — the doctrine that God was once not a God, but a mere human being working out his own salvation on some other planet under the rule of another God. In no less than three public interviews during the past six months, President Hinckley has denied or at least dodged that doctrine. That God was once a mortal man has been Mormon church doctrine since the days of Joseph Smith, who taught: "I will go back to the beginning before the world was, to show what kind of being God is. What sort of a being was God in the beginning? … God himself was once as we are now, and is an exalted man, … it is necessary we should understand the character and being of God and how he came to be so; for I am going to tell you how God came to be God. We have imagined and supposed that God was God from all eternity. I will refute that idea, and take away the veil, so that you may see.… It is the first principle of the Gospel to know for a certainty the Character of God, … and that he was once a man like us; yea, that God himself, the Father of us all, dwelt on an earth, the same as Jesus Christ himself did…" (Smith, Teachings of the Prophet Joseph Smith, p. 345). The doctrine is inseparable from the doctrines that God is now a glorified, exalted and perfected man, and that human beings from this world may also progress to become Gods, doctrines taught by Smith in the same context as the quote above. In a San Francisco Chronicle interview published April 13, 1997, Hinckley was asked, "There are some significant differences in your beliefs. For instance, don't Mormons believe that God was once a man?" Hinckley's response was shocking for those who know Mormonism: "I wouldn't say that. There was a little couplet coined, 'As man is, God once was. As God is, man may become.' Now that's more of a couplet than anything else. That gets into some pretty deep theology that we don't know very much about" (p. 3/Z1). That "couplet" has been a part of Mormon doctrine for more than a hundred-fifty years, and has been quoted approvingly in hundreds of Mormon church produced publications. Despite his apparent denigration of it, Hinckley went on in the same interview to affirm the latter half of it: "Well, as God is, man may become. We believe in eternal progression. Very strongly" (Ibid.). In a story aired on PBS July 18, 1997, reporter Richard Ostling affirmed that "President Gordon Hinckley says the concept of God having been a man is not stressed any longer, but he does believe that human beings can become gods in the afterlife." Hinckley stated: "Well, they can achieve to a godly status, yes, of course they can, eternal progression. We believe in the progression of the human soul. … We believe in the eternity and the infinity of the human soul, and its great possibilities." Of course speaking of the "infinity of the human soul" may well undo whatever advantage Hinckley seeks among evangelicals. In a Time magazine article published August 4, 1997, Hinckley again downplayed the idea of God having once been a man. He even seemed momentarily weak on the "men may become Gods" doctrine: "It's of course an ideal. It's a hope for a wishful thing." He later added that "yes, of course they can." "On whether his church still holds that God the Father was once a man," continued the Time article, "he sounded uncertain, 'I don't know that we teach it. I don't know that we emphasize it … I understand the philosophical background behind it, but I don't know a lot about it, and I don't think others know a lot about it'" (p. 56). Luke Wilson, Executive Director of Gospel Truths Ministries, wrote to the Office of the First Presidency for clarification of Time's last quote of Hinckley, above. F. Michael Watson, Secretary to the First Presidency, wrote back that "The quotation you reference was taken out of context" (http://www.irr.org/mit/hinckley.html). He also affirmed that Hinckley's remarks did not pertain to "the doctrine of exaltation and the blessings that await those who will inherit the celestial kingdom" (Ibid.). Strangely, since it was the point of Wilson's question, Watson did not address the issue of whether or not God was once a man. Wilson checked with David Van Biema, the Time magazine reporter who wrote the story, for his response to Watson's allegation. Biema affirmed that "Time stood by its story as written." Richard Ostling, who had conducted the actual interview with Hinckley, also wrote Wilson and included a transcript of the relevant portion of the interview. 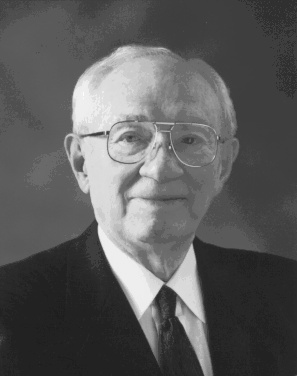 President Hinckley's response, quoted above, was made directly to the question "Is this the teaching of the church today, that God the Father was once a man like we are?" (Ibid. ).